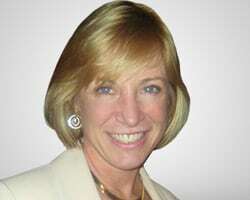 Linda Bradford Raschke has been a full-time professional trader since 1981. She began as a market maker in equity options and was a member of and floor trader on two exchanges. In the early 1990s, Ms. Raschke became a registered Commodity Trading Advisor (CTA) and started LBRGroup, Inc., a professional money management firm. In addition to running successful CTA programs, she has been principal trader for several hedge funds and has run commercial hedging programs. Ms. Raschke was recognized in Jack Schwager's book, The New Market Wizards, and in Sue Herera's book, Women of the Street. She has been active with the Market Technicians Association for many years and has lectured in over 30 countries. Ms. Raschke is well-known for her book Street Smarts High-Probability Short-Term Trading Strategies.